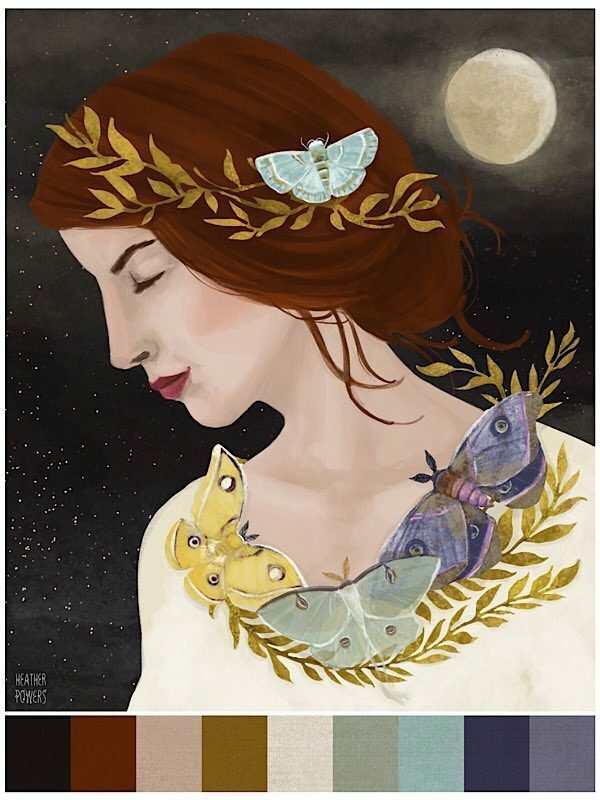 I was drawn to this illustration like a moth to flame… pun intended! 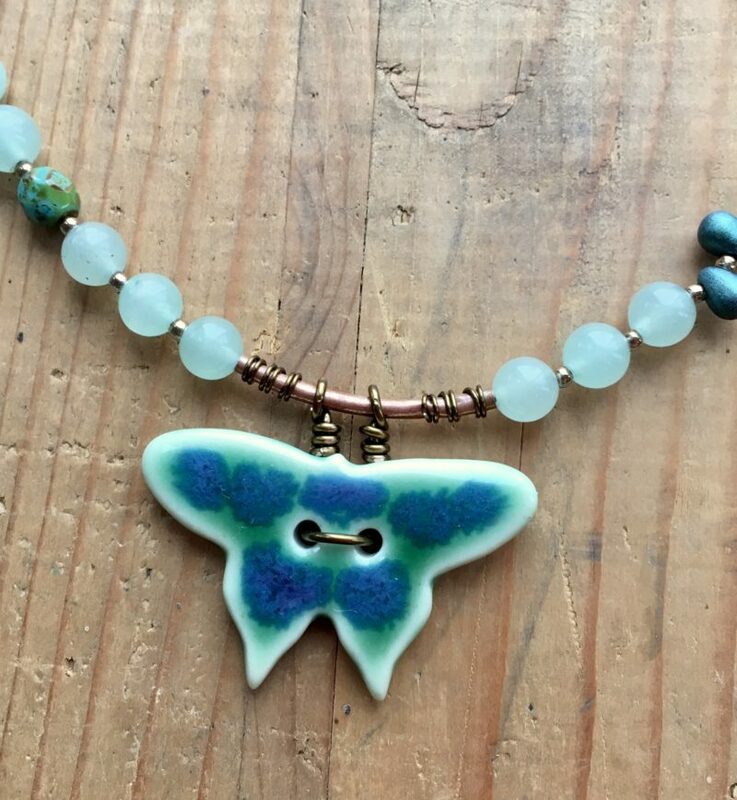 I immediately went digging through my art bead stash for some things that worked for this magical piece of artwork, focusing on moths as well as some of the colors. 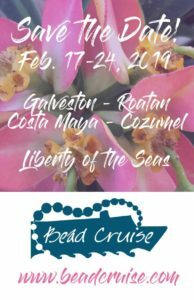 Before I was invited to be a blog contributor, I had already posted a challenge entry on my personal blog with a couple of creations, so I’ll start by sharing those with you all. First up I grabbed some fun purple and white ceramic tube beads from Golem Design Studio that fit nicely with the colors in Heather’s artwork. I added a couple of different Czech glass flower beads in various shades of purple to match that lovely moth on the right side. 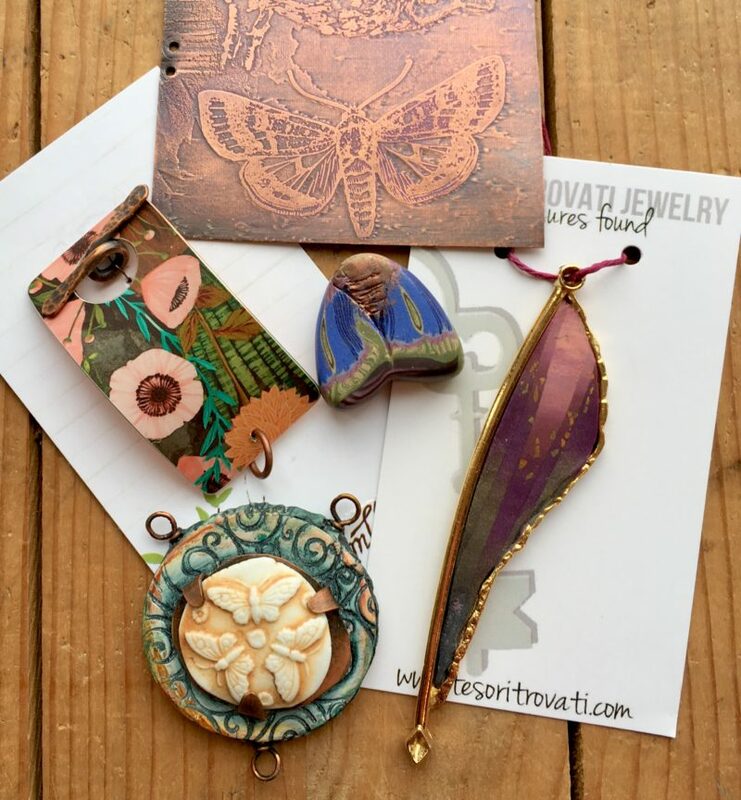 I thought the cute Arte Metal butterfly charms from Vintaj could also work as moths! While the ceramic beads are super graphic and geometric, the colors and the softness of the other more organic elements balance things out in my mind. 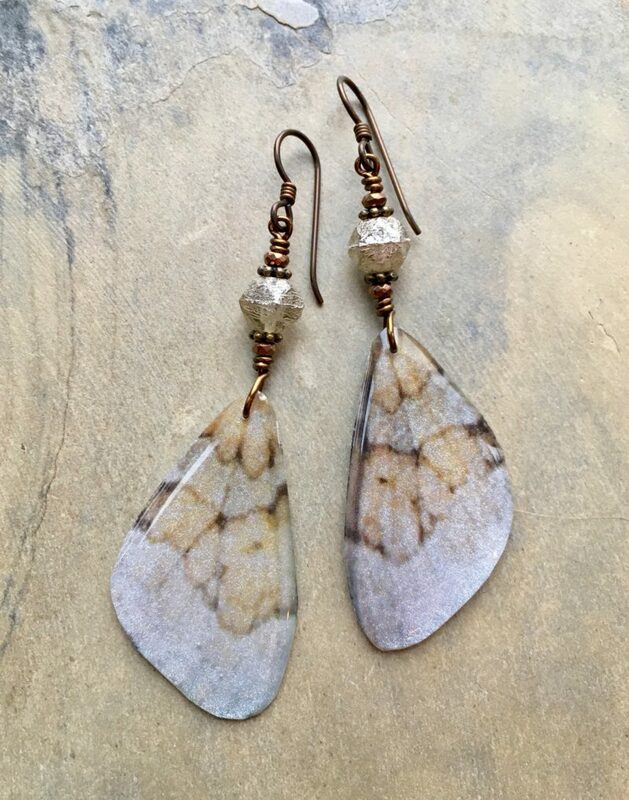 Clearly in an earring making mood… I whipped up another pair with some super fun Ghost Moth wing pieces from Twinkiedinky! These are pretty long, but oh so lightweight! 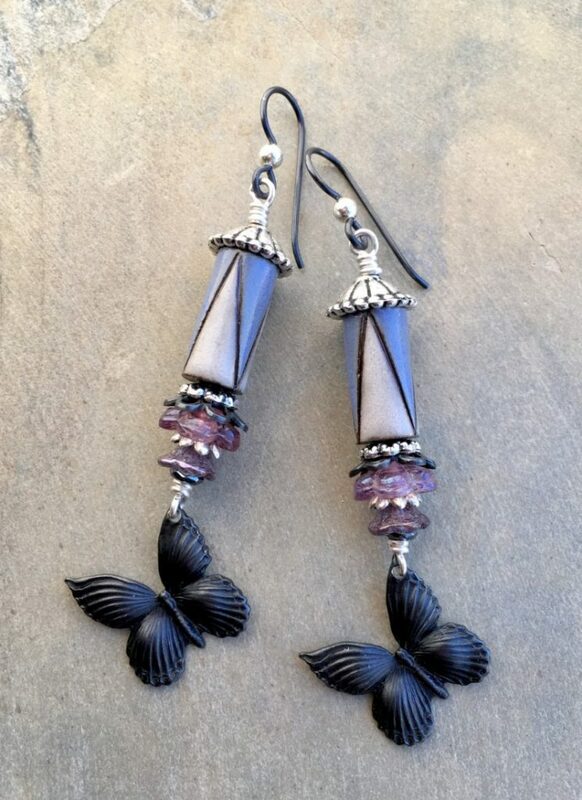 I paired them with some Mercury finish Czech glass and plated hematite beads. I think that silvery Mercury glass does a good job mimicking the moon in Heather’s artwork. I’m so happy that I pushed myself to keep going and make something new for this post. I’ve had one of Heather Powers’ faux tin pieces in my hoard for a little while and really wanted to bring it out into the light. (Check out her Humblebeads website to see what she currently has available for order.) Again I find myself focusing on that purple moth (which I find interesting since green is really more of my go to color). Playing off of a design that Heather has shared in her Facebook group, I added a piece of copper that I textured underneath the faux tin pendant as well as as some Czech glass flower and leaf charms. I really thought that I was done at this point, but the idea of that green color was still niggling at the back of my brain. I totally had other things that I should have been working on, but my muse wasn’t going to be deterred! I got inspired by a design Lorelie Hill Eurto recently shared where she used a button in a unique way as a pendant. As soon as I saw that design, I began thinking about a pair of butterfly buttons from Round Rabbit that I’ve had forever and never knew how to use. Problem solved! I threaded a length of wire through the holes in the button and bent them up towards the top of the butterfly and made wrapped loops that I could slide a copper tube into. The button was sliding along the tube more than I liked so I added some brass colored Parawire on each end of the tube to stabilize things. 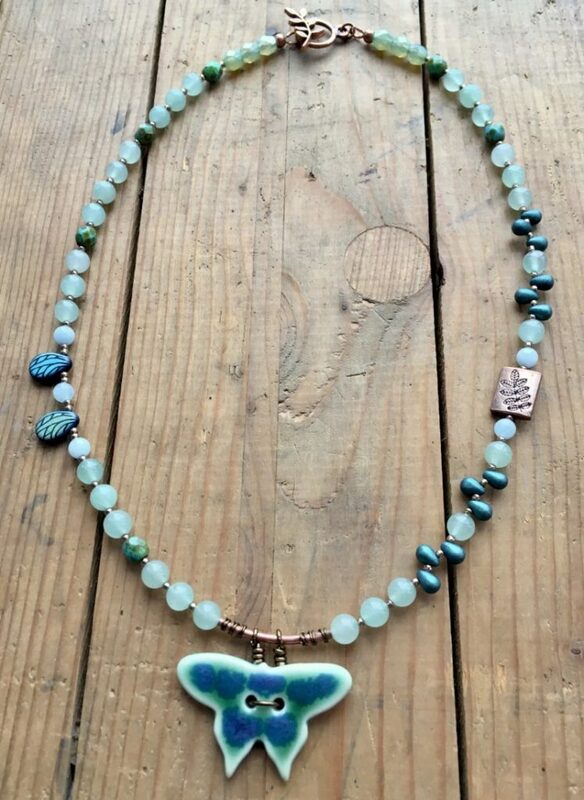 The rest of the necklace is simply strung with tons of Green Aventurine, Czech glass, and Aquamarine. 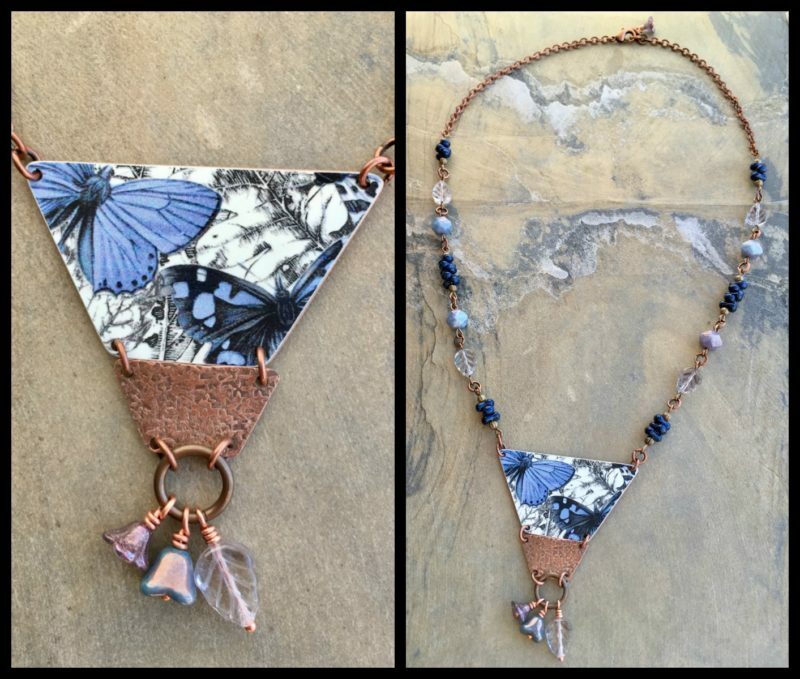 I just had to include a couple of fun patterned “butterfly wing” beads in the mix and chose a copper plated bead and toggle clasp that mimic the leafy fronds in Heather’s artwork. Now I really do have to stop and move onto some other projects with looming deadlines, but I thought I’d leave you with a little bit more art bead goodness from my collection. (Proof that I could have kept going with unlimited time.) 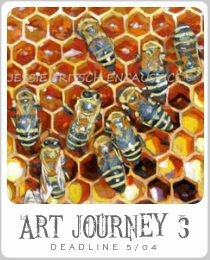 If you haven’t yet designed something for Art Journey One, I hope that this will inspire you to get creating! 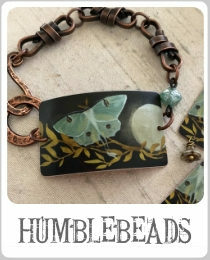 My etched copper moth; Humblebeads faux tin bracelet focal and moth bead; Tesori Trovati wing pendant, Jenny Davies-Reazor pendant.